So You Want to Become a Psychologist? This is a brief guide to help you understand what it takes and what you’re getting into if you’d like to become a psychologist. Go to college and get a bachelor’s degree in psychology, with a minor in some other interest. Get as much experience as you can working with graduate students and your professors on research studies and explore your own interests and likes in psychology. Education can be as fun as you make it. Psychology is no different. So if you don’t like rats, don’t work with them! If you ultimately want to work with children, find studies at the university or college you attend that focus on children, and befriend the professor(s) that teach undergraduate and gradute-level courses in child psychology. After college, you’re going on to graduate school. It is in your best interests to stay in school for as little as much time as possible, which means trying to complete your bachelor’s degree in 4 years, not 5, and your graduate degree in 5 years, not 8! Choose a school that matches your interest and is as inexpensive as possible. Few psychologists make large incomes, so the less you have in student loans (look for grants! ), the better. Find a school that focuses on your needs and will have enough resources to meet them. For instance, don’t go to a school with no child psychology professors if your interest is in child psychology. Yes, I know this seems obvious, but you’d be surprised at how many people miss this. If you want to go into research or teach at a college or university after your doctorate, then go for a Ph.D. degree. If teaching or research is of less interest to you, focus your energies on a Psy.D. degree. Both are well recognized and accepted within the field, and you can do anything with either degree. But a Psy.D. often is accompanied with less stress and requirements to complete, making it somewhat easier (all things being equal). If you really want to practice, find a graduate program which emphasizes hands-on, clinical experience early and often. This should start in your second year and continue until you finish in practicums. If clinical experience isn’t offered in your program until your 3rd or 4th year, and becoming a clinician is a goal for you, then find another program. 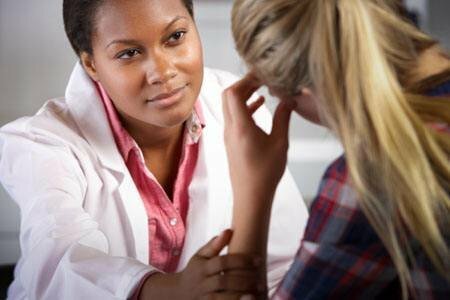 Starting psychologists in clinical work and research generally make somewhere between $45, 000 – $55, 000 in the United States, depending upon geographical locale and position. After the first year (or two, depending upon the state), you will become eligible for licensure and your salary will enjoy a little bump after that. Postdoctoral research opportunities are not required and pay little ($25, 000 – $35, 000), but give people additional direct experience and training in specialized clinical areas they may have not received while in graduate school. What is a Criminal Psychologist?